Large medium-green sprouts are smooth, nutritious and very delicious! 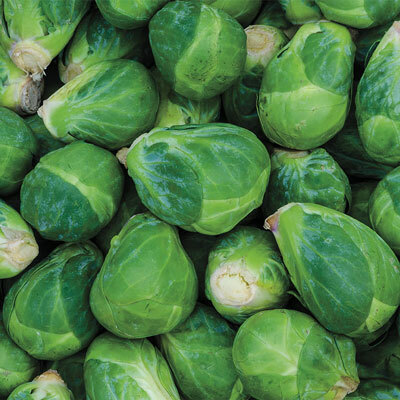 This easy-to-grow, early-ripening variety is well adapted to a wide range of climates and produces dependably high yields of flavorful Brussels sprouts that are excellent both fresh and frozen. 90 DAYS. Height 32 - 36 inches. Height: 32 - 36 inches. Spacing: 18-24 inches between plants; 24-36 inches between rows. Soil Requirements: Well-drained garden soil.